There are countless reasons why Sony’s PlayStation 4 is outperforming Microsoft’s Xbox One in almost every area. It could be down to the Xbox One’s controversial reveal or that people were willing to give Sony another chance after the PS3, but it’s probably a lot simpler than that. It just has better games. After a so-so launch period for games and a long dry period where new titles would seldom be released, the PS4 really hit its stride, going on to comfortably outsell the Xbox One and pick up new fans all the time. When it boasted so many enticing exclusive games, it’s not to hard to see why – Sony have really nailed the range of games you can’t find anywhere else this time out. With that in mind, let’s look forward to the exclusives the PS4 has coming up for us. We’re only going for “true” exclusives here, so they can’t be available for PC, PS3, or anything else. Just Sony’s latest black box. David Cage is one of the most hit-and-miss artists in video game history: for every Heavy Rain, we get a Beyond: Two Souls. Historically, the ratio of good to bad games he releases means that we are in for a treat with Detroit: Become Human. Revealed at E3 2016, Detroit looks like being another narrative-driven game from Cage with a big emphasis on choices. Judging from its trailer, the smallest of decisions can have a big impact on the story, so it will be interesting to see how this one pans out. Fingers crossed for more hilarious bugs that make the protagonist scream the name of his son. Nobody knows what form Death Stranding is eventually going to take, but everyone knows that a Kojima unshackled by Konami is going to create absolutely enthralling nonsense. 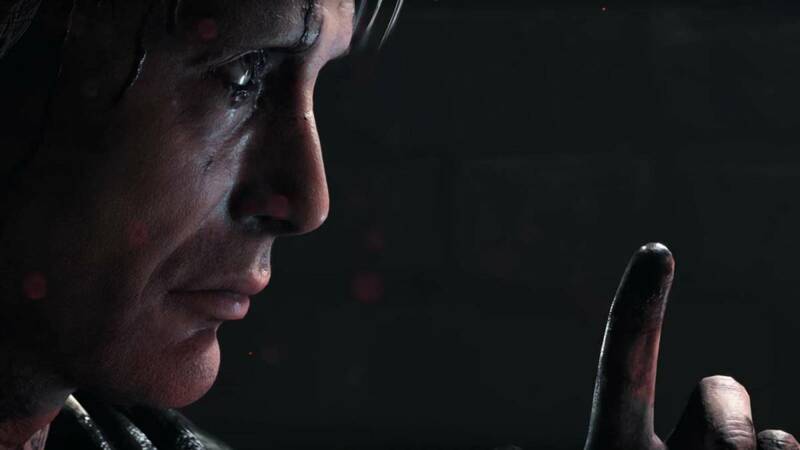 From its disappearing baby reveal trailer to its unsettling journey into a sewer with Mads, Death Stranding has plenty of people hyped. The release date of Death Stranding is some way off, but Kojima has never been one to rush his games out. He’s going to take his time and eventually unveil exactly why Norman Reedus was naked before too long – perhaps we’ll see more of it at E3 2017. The first Uncharted game to not feature Nathan Drake could spell a new direction for the series, even if it is more of a standalone expansion than an entirely new game. Saying that, The Lost Legacy has over ten hours of gameplay and a massive scale, so it might feel more like Uncharted 5 than people first realise. Chloe Frazer and Nadine Ross team up to uncover an ancient Indian artifact, and you know where this is going. There will be guns, stunts, and cinematics that will make your eyes bleed. Better yet, those who pre-order get the Jak and Daxter collection on PS4. When Days Gone was first revealed, it looked like it might be just another humdrum zombie shooter. But then the crowds of the infected piled up and created waves of incoming death, leading to it becoming one of the most thigh-grippingly tense reveal trailers in recent times. We don’t know a huge amount about Days Gone, but we do know that we want it. It may struggle to match the zenith that Naughty Dog’s The Last of Us carved out, though when you have this many ways to dispose of hordes of lunatics, some intense action could be all that’s needed. Deacon St. John is a terrible name for a protagonist, though. Kratos is back, but he isn’t the same old murderer of everything you might remember. He has a conscience now, something which seems to be weighing him down in the footage we’ve seen so far. Taking the action from Greece to Norse times, this Kratos also has a son, who can assist in combat, which has also been massively overhauled. Gone is the classic hack and slash style, replaced with an over-the-shoulder perspective with an emphasis on RPG elements. It’s a brave change in direction for the series, and one that we can’t wait to get our hands on. It’s going to be a while before that happens, though – 2018 is its tentative release window. The Spider-Man games we have seen in recent haven’t exactly been gold. Whether it’s because they’ve been rushed out as tie-ins or that previous developers just didn’t understand what made earlier Spidey games so beloved, Marvel’s webslinger hasn’t had a great time of it. Enter Insomniac: the Ratchet & Clank and Sunset Overdrive developers. Revealed at E3 2016 and further at 2017, details on the project slowly been trickling in, but that hasn’t stopped us from getting pumped for it. As long as it makes swinging from webs feel as satisfying as it did on PS2, it should turn out alright. A Sony console isn’t truly a Sony console until it has a Gran Turismo game available for it, which Sport certainly fits the bill of being. It’s in the name. Sport will be the shiniest, most racing-est game in the Gran Turismo series so far. Well, it better be – it’s had more delays than anyone can really recall. It will probably be worth the wait, though the biggest task it has to face is trying to reclaim its throne from Forza. Only time will tell. This list is in absolutely no ranking, but if it was, this would easily come out on top. Its surprise reveal sent waves of joy through the PlayStation community, even if a sequel to arguably the best game of the previous generation wasn’t totally necessary. As you might expect from the theme of this list, little is known about The Last of Us: Part II and we aren’t going to wildly speculate about what lies ahead. All we know is that Ellie is pissed and is a bit of a rough singer. Until Naughty Dog reveal more, let’s just all sit in a dark room and wait patiently.